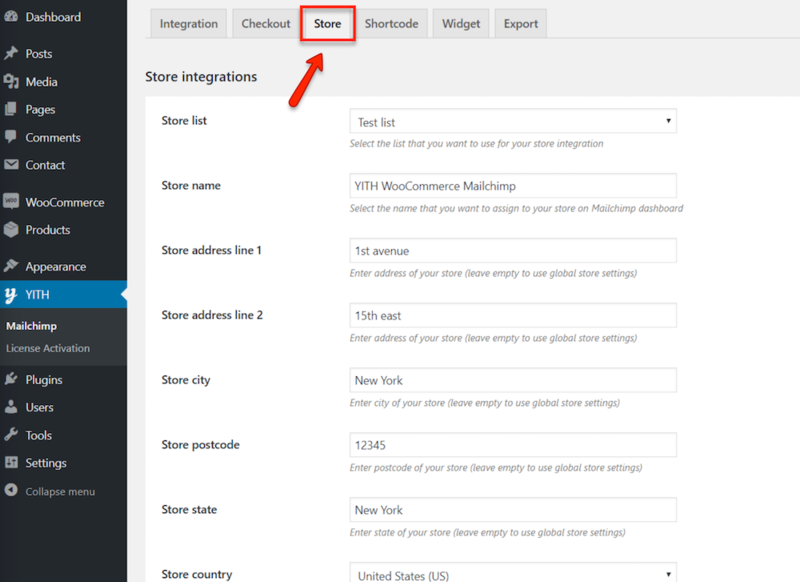 With the Store integrations option, you can now register all order performed on your store to MailChimp. You can create campaigns targeted on customer purchasing preferences. When you connect your store, you basically tell the system that from the next purchase on, it should register orders within the customer. After you connect your store, a sync option will appear, if you want all your previous users and customers to be registered in Mailchimp. This process will cycle the orders registered in your store, and send them to MailChimp, this way you’ll have all your customers and orders in there. You can stop the synchronizing process at any time, you will see the sync status in the message below the button. You can sync again at any time, just click on the ‘Sync again’ button and the process will be repeated. Apart from the sync process, the store integration just interacts with the default subscription process. So the customer purchases, accepts to be registered to MailChimp, his mail is registered, and also his current order is registered.